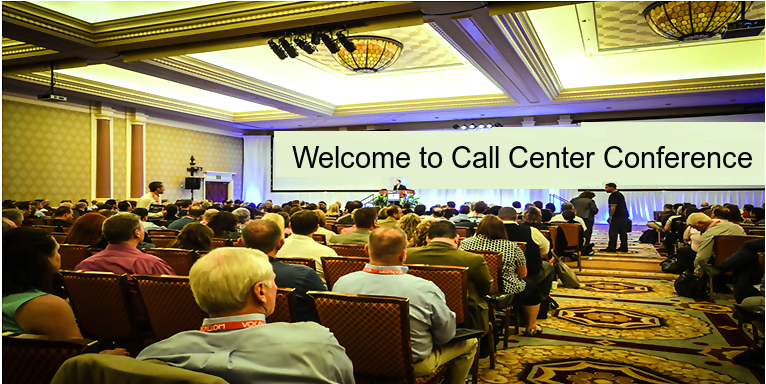 Let’s have a look at major benefits associated with attending call center events. Different keynote speakers discuss various new practices related to handling of call center processes at the conferences and expos. You are also exposed to training, hiring and management practices used by the other key players from call center world. As a result, you do not remain restricted to a single dimension in terms of management trends. The conferences act as portal where you learn new management practices, which you can apply in your call center processes. Several conferences even offer learning experience through informative workshops or visit to some renowned contact centers of the specific region. We all understand that networking is an inevitable part of managing a business. Even entrepreneur and American political commentator Armstrong Williams has said, “Networking is an essential part of building wealth.” And conferences and events give you the best opportunity to meet people from your industry. You meet people from different sectors, which may be your potential clients. Also bonding with professionals from management and technological background can prove to be fruitful for your call center business. That’s not all! Even suppliers and vendors can offer you better deals related to equipment needed at your workplace. Make sure to have well-designed business cards for delivering finest impression to the people you interact at the event. You can reflect your own management practices along with services offered at the events related to call centers. Several events are also covered by media moguls and online bloggers. Therefore, your company has a chance to get highlighted in their stories. Therefore, actively participating in multiple events helps you in becoming a respected brand of your sector. To get more attention, you must deliver a speech or become a member of panel discussion. There are also opportunities of sponsorship, which offer you more face value at the events. Running call center process as per the expectation of customers always remains a challenge for call center outsourcing vendors. Events like conferences and seminars help you to track the latest insights and discoveries related to behavior of customers. Some speakers and customer experience gurus deliver information on very specific topics like impact of social media support on millennials, role of IVR in customer experience and self-service in healthcare industries to name a few. These insights help you modify your own processes as per the customer demands. Several experienced people also provide predictions related to customer behavior in upcoming years. There can be no better place to find the suitable outsourcing vendor than call center events as most of the industry leaders are present at one place. Companies can analyze the services offered by them along with their unique methods of handling the process. After selecting the right ones, the fimrs can move on to further processes like sending of request for proposal (RFP). It is quite necessary to have an intermediate level of knowledge related to call center industry in order to successfully outsource a project. And these events act as window to the world of call center industry. By learning more about the processes, the companies can instruct the vendors to suitable modify the process in a way that works in the favor of the company. Therefore, participating in call center-related events comes with multiple advantages for both outsourcing vendors and companies looking for these vendors.